Updated on Feb. 6 at 12:30 p.m. The Indigenous languages bill introduced in the House of Commons today is being slammed by Canada’s national Inuit organization as being inadequate. 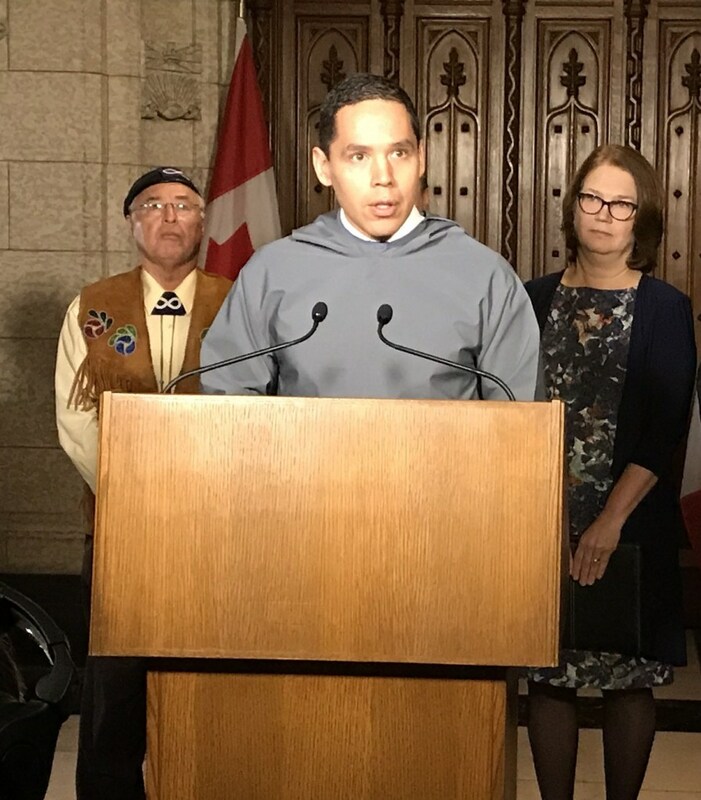 “Despite being characterized as a reconciliation and co-development initiative, the Government of Canada engaged Inuit in bad faith throughout this legislative initiative,” said Natan Obed, president of Inuit Tapiriit Kanatami, in a news release. ITK had hoped that the Indigenous languages bill would include a standalone section that dealt with Inuktut, and recognition that Inuktut is the official language within Inuit Nunangat—the 50 Inuit communities in Canada that fall within the Inuvialuit Settlement Region, Nunavut, Nunavik and Nunatsiavut. ITK envisioned multi-year funding agreements being struck between regional Inuit organizations and the federal government. Money would be doled out through those funding agreements, with the aim of ensuring that Inuktut language resources are supported within the Inuit homeland in a way that’s equal to what’s provided to support speakers of French within these jurisdictions. “Our efforts to revitalize, maintain, and promote Inuktut are often blunted by inequitable federal funding policies that task us with doing much more with far fewer resources than what French and English speakers receive,” said Obed. “At the same time, our people do not have the right to access federal services in Inuktut, relegating it to a status beneath English and French,” he said. Canada’s Official Languages Act requires the federal government to support language programming for francophones and anglophones in communities in which they’re a minority. ITK had hoped that the new Indigenous languages bill would create a similar obligation to fund Inuktut programming within Inuit Nunangat, according to a position paper prepared by the organization. “Inuktut speakers make up the majority of the population in Inuit Nunangat, yet the federal government allocates a larger share of public sector resources for the English and French speaking minority populations,” the paper states. ITK also wants the new legislation to require federal services to be delivered in Inuktut within Inuit Nunangat. “Access to federal services in Inuktut is vital for Inuit, especially in Nunavut and Nunavik where Inuktut is the majority mother tongue,” the report states. And ITK wants to see Ottawa create a new Inuktut-language authority and an Inuktut-language commissioner. Nunavut Tunngavik Inc. says it’s disappointed in both the consultation process used to draft the new bill, as well as its content. NTI president Aluki Kotierk had previously called on Ottawa to give Inuktut the status of an official and founding language, as well as the funding to recognize that distinction. The bill ignores issues that Inuit groups raised to the federal government during its consultation process, she added, about the use and status of Inuktut in northern jurisdictions like Nunavut. “Notwithstanding all the rhetoric about ‘co-development’, this bill shows no measurable Inuit input, despite our best efforts to engage as partners,”Kotierk said. Makivik Corp., which represents the Inuit of Nunavik, said the new legislation clearly fell short of what Inuit asked—legislation with a specific focus on Inuktitut. “We will not be deterred by what we know to be a setback in this flawed legislation,” said Makivik president Charlie Watt in a Feb. 6 release. Qujannamiik ITK. Now can you please show that Inuktitut is a priority by releasing a standardized Inuktitut language this year (2019)? Hit the nail on the head. The Inuit languages will remain an afterthought outside its core group of speakers until it is standardized. What are the Liberals going to do? Funnel 100M a year to people who can’t come up with a basic set of rules? People can rag on French all they want, but it’s structured, has rules, you can learn it online. You can call a “car” OR a “voiture” or “auto” and be understood without getting into an argument. If you learn the Parisian dialect of French, you can still be understood in Canada (to a certain extent). That’s one of the main reasons why French flourishes outside Quebec. It’s designed to be inclusive, not exclusive. Languages are meant to be shared, not hidden away like a secret WW2 code. The longer it takes to standardize it, the faster it’ll die. You can complain all you want about how standardization is bad for your regional dialect and how you have the best term for “cannabis”. You’ll be the last one to use that term if you don’t act now. All this chest thumping from NTI and ITK is meaningless until you come up with standards and give these awful English-speaking white GN bureaucrats something to learn outside of meaningless “ullaakkuts” and “nakurmiiks”. Great comment up to: “give these awful English-speaking white GN bureaucrats something to learn outside of meaningless “ullaakkuts” and “nakurmiiks”. Another hole in the plan, alienate those damned “others”. And for what? It’s not going to help. Pretty sure calling white bureaucrats “awful” was meant to be sarcastic. We get blamed for every single problem in this territory. People can complain that we force the use of English throughout the government, but what choice do we have? We can chit chat in Inuktitut about coffee every day, but when it comes to the expense reports I have to fill out, good luck with that. No standardized language means Inuktitut will never be a dominant language when it comes to running the territory. Prove me wrong though, ITK. Ms. Kotierk and Mr. Obed have made a major blunder on this issue. This is is a historic move that no federal government has ever considered doing before and here they are dumping all over it. The wealthy $180,000 a year Iqaluit decolonistas like Kotierk and Obed are seriously alienated from the people at the grassroots. They have lost touch completely with the needs of the struggling population, who want better housing, access to food, access to jobs, and safety and justice for all the beaten and abused Inuit women. Language is not a big priority at the community level any more. Shame on Ms. Kotierk and Mr. Obed, I hope they are removed from office. Sad comment. Language is identity and losing one’s language means also losing identity. Colonialism thrives on assimilation and Canada has been and remains a master in colonialism. Many of the problems faced by Indigenous peoples today, including for Inuit, stem from decades of colonialism that aimed at destructing these cultures. Now, without any consultation with Inuit, the same colonial power edicts a new approach for Indigenous languages… I think Mr Kotiak and Obed are on the right track. Just remembering, I think not long ago. Nunavut Government was not helping French school too much. Am, I right?. Our Prime Minister was saying last week too, he is worried some French school was about to be closed in Ottawa. His kids are going to French school he was saying. He is human. I wish with all my heart, our language will be preserved, just like he is worried about French school. At times I wish our Iqalumiut dialect would at least be more used. Like, Mittimatalik used to be called Mitsiimatalik. I will be using our dialect as long as I live. I wish with all my heart Obed will pass all that we wish. Justin, I know, you will help us. ITK your people are starving and you would want non-existent public funds to be directed towards language instead of food!? Can we please just stop directing Federal funds to flow through unaccountable and incompetent land claims organizations? Enough already – the Inuit orgs have done nothing to standardize Inuktut so it’s destined to die. Without one standardized dialect and alphabet it can go now where so don’t rag on the Feds. Any money invested at this point is a waste. Use your current $ to come to an agreement on the way forward – maybe then Canada can consider investing in your language. Canada is not willing to recognize your language in national legislation. Start discussing independence, Inuit! Go ahead, maybe it’s a good idea. You will better leadership though, if it were to happen today it would be a certain disaster. Hey, Natan and his team of Super Hero Ottawa Inuit are now FREE to return to doing BATTLE against the EVIL EDMONTON ESKIMOS and to selling EXPENSIVE ATIGI and AMAUTI to Qallunaat millionaires. NTI got to realize language is worthless if Inuit are hungry, poor and unemployed. Important yes, the biggest issue no. No matter what the iqaluit decolonistas say. There should be an Inuktut-specific law in Canada, similar to the Maori Language Act of New Zealand. To put that in context, the Maori make up 15% of New Zealand, while Inuit make up 0.00109% of Canada. Meanwhile:“This is landmark legislation to protect and strengthen Indigenous languages, the original languages of these lands, that embrace our identity, our worldview and our nationhood,” Perry Bellegarde, the national chief of the AFN, said on Feb. 5 in a statement. You have to be real too. There are 39,770 Inuktitut speakers of Inuit ethnicity in Canada. When the Maori Language Act was passed in 1987, there were less than 50,000 Maori language speakers in New Zealand. Thus, the situations are almost exactly the same in that respect. I agree that Canada is different from New Zealand because there are dozens of Indigenous languages in Canada, and only one in New Zealand. But the reality is that there are only 3 Indigenous languages in Canada expected to survive the next century: Cree, Anishinaabemowin, and Inuktitut. And, compared to Cree and Anishinaabemowin, Inuktitut is the language with the most learning resources, the largest land mass (Inuit Nunangat), the most prestige internationally, and the most speakers in the National Capital Region. Saving one language is better than saving none. If Canada doesn’t pick an Indigenous language to make official, it is likely that they will all die by the end of the next century (2200). So you would be equally happy with a declaration that Cree is Canada’s official Indigenous language? It’s spoken by about 117,000 people, and the total population of Cree in North America is about 400,000. I’m not sure that ‘largest land mass’, ‘international prestige’, and ‘most speakers in the national capital region’ are slam dunk reasons to pick Inuktuk. A focused national effort could bring learning resources to par and exceed those available for Inuktuk pretty quickly. The short answer is yes – I would be equally happy if Cree was named the official Indigenous language of Canada. But as you mentioned, there would need to be a major effort to bring learning resources up to par and to create a Cree-speaking community in the National Capital Region in order to staff federal government positions with Cree language requirements. Canada is in a lifeboat ethics situation – if resources are spread evenly between all 60+ Indigenous languages, they will ALL die, and Canadians will be responsible. If an Indigenous language is made official and given equal status to English and French, then it will survive, and future Canadians will recognize that our generation made a important trade-off in order to benefit future generations. I speak Inuktitut, but I’m willing to let Cree be the official language, if that is assessed to be better. But for goodness’ sake, PICK an Indigenous language and MAKE IT OFFICIAL. You need a new model on how to save indigenous languages. None of them are going to become ‘official languages’ and enjoy the same privileges as English or French at the national level, and nor should they. Why not? Because they are spoken by a fraction of the population and they are concentrated regionally, not spread out nationally. This does not mean they need to be doomed or that they can’t be saved, but reaching for this kind of legislated recognition is a pointless distraction. The Maori population in New Zealand is 15% of the whole country while the Inuit population doesn’t even account for .002% of Canada’s population. Further yet, many who identify with being Inuit are mixed genealogy. My Grandfathers, both maternal and paternal, are Mi’kmaq but I would never be so insulting and racist to… well you know the rest. Then what about the other 90 or so indigenous languages in Canada; do they deserve a special act as well? Inuit account for about 0.18% of Canada’s population (65,025 of 36.71 million). Still a very small number, but watch your stats. No Inuktun specific measures? Yes, its called the Indigenous Language Act of Canada, not the Inuktun Language Act of Canada. There are around 60 indigenous languages. The largest group of indigenous language users are Algonquin, who have more than double the number of speakers compared to us Inuit. There are no Algonquin specific measures in the proposed legislation either. Our leaders cannot be so myopic that they forget this is a country wide law that applies to all, and see where it can benefit us in context. I always enjoy your insightful comments, this one is especially good. ITK is upset with Canada. But we Inuit are upset with ITK for not being able to effectively negotiate or co-develop. Inuit have been in charge of Inuktitut for almost 40 years. Inuktitut has been well funded by taxpayers. been going on. I learned nothing. Incompetence at grass roots and political level. Personally, I am very proud of Obed and Kotierk for doing what so many have been screaming for – stronger Inuktitut language for Nunavut. And here we are, whining and complaining about it, embarrassing. How much stronger our leaders could lead if their people would support them rather than trashing them for doing EXACTLY what we’ve been screaming for. Keep it up Obed and Kotierk. A better analogue to Canada than New Zealand is India. There are two national languages in India: Hindi and English. But each state (like provinces) within India declare by legislation their own soecific official labguages. Nearly another 20 languages have official status in Indian states through state legislation. Inuktitut is used primarily in two Canadian provinces (Quebec and Newfoundland) and in two territories (Nunavut and NWT). It has official language status in Nunavut and in NWT. 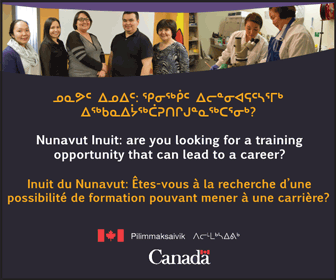 In Nunavik (northern Quebec), Inuktitut is de facto the official language of almost all public institutions, including the schools. 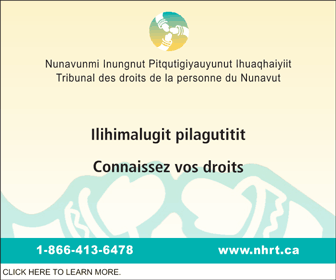 The courts and policing remain to be staffed by Inuktitut speakers. There’s work to be done there. Using the midel of India, perhaps ITK and its allies can turn their efforts towards promoting official language status for Inuktitut via the Quebec and the Newfoundland & Labrador legislatures. Interesting comment, though I don’t see Quebec capitulating to this, perhaps it’s possible that it could be recognized at sub-regionally within the province. Nunavik is already exempt from Québec’s pro-French language laws. Given that Inuit are largely in control of Nunavik and rightly insist that most public affairs are conducted in Inuktitut (except for policing and the courts, which should be a priority to correct), there is arguably less dire need for some kind of Canadian national recognition. Nunavik Inuit institutions have maintained quite good relations with Québec and Québecers display genuine regard for Nunavik and its people. This could be an avenue for securing more support ($$$$) for the Inuit language. There is no point in making the Inuit language, Inuktitut, an official language. The Language is all bastardized to make it easier to understand. The “new” language name for example, Inuktut. Inuktut has many meanings, it depends on the way the word is used. Inuktitut is the language. So why attempt to have it an official language? The Government of Nunavut has come up with “traditional” and “academic” INUKTITUT language. The academic is easier with made up words to younger and non INUKTITUT speaking people to learn. Traditional varies by region, even by communities within the same region. However, it is all understood. Spend money on community wellness and improving health and living quality. Addiction programs, social housing, basic programs to coping with depression. 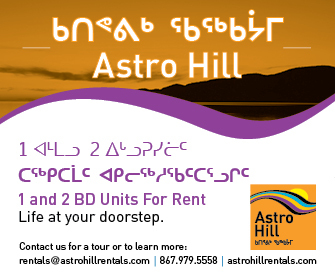 There are many things that the money being use to attempt to get INUKTITUT an official language can go towards.